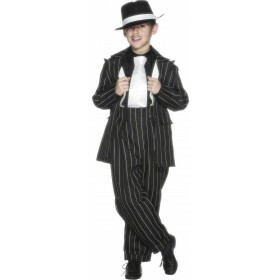 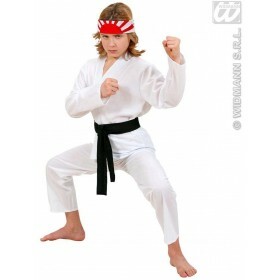 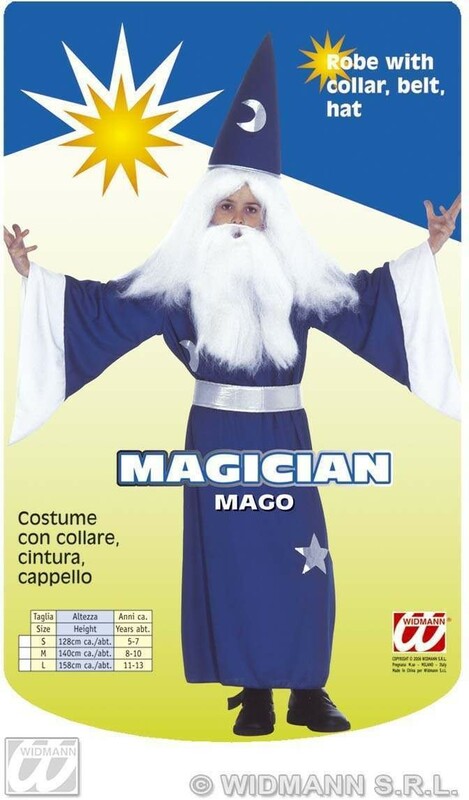 Magician Costume Child Fancy Dress Costume . 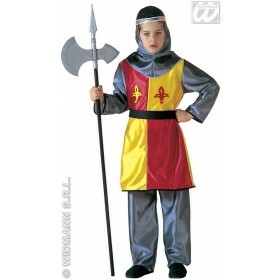 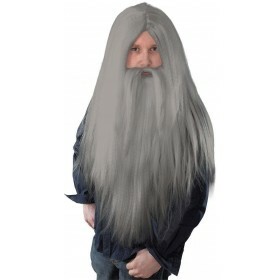 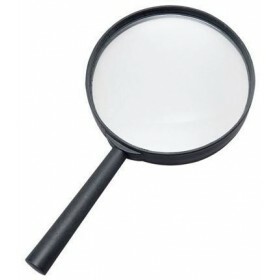 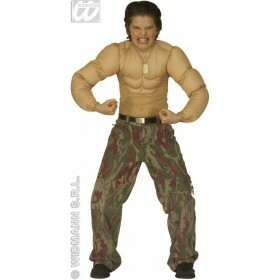 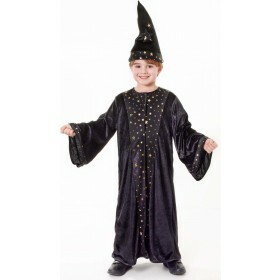 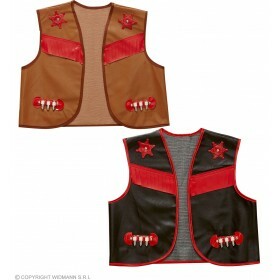 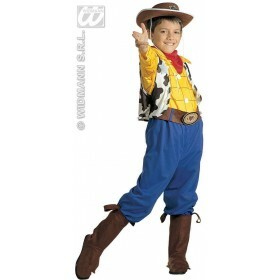 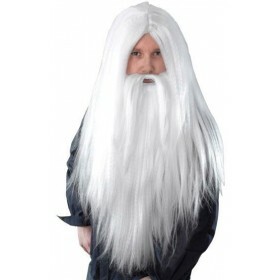 For a truly spell binding outfit why not pick up this fantastic boys "magician" costume for your little spell casters. 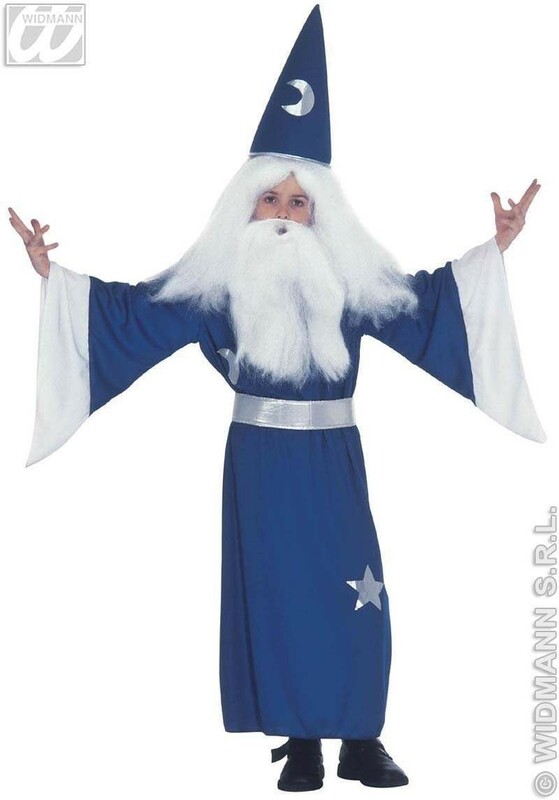 The enchanting blue magicians costume includes a long blue magicians robe with large white cuffs and is decorated with silver reflective stars and moons, a matching blue and silver magicians hat and a reflective silver matching belt. 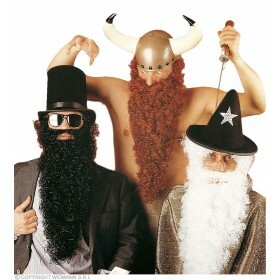 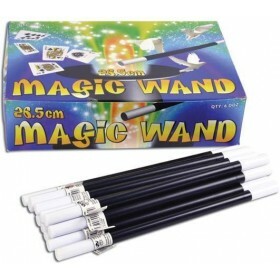 To round off the costume and make it a truly magical occasion why not also pick up some novelty magicians hair and beard and also why not pick up an enchanting magicians wand from our accessories department. 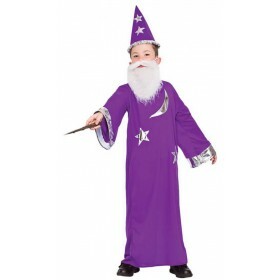 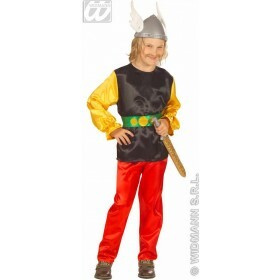 This boys costume is perfect for Halloween, book week and all other fancy dress occasions and parties or is ideal for just simply dressing up fun and with the high quality material and fabric is sure to conjure up an amazing time for your little magicians and all of their friends. 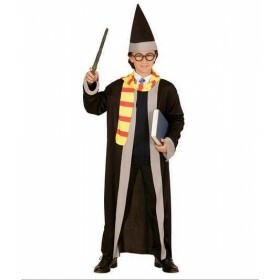 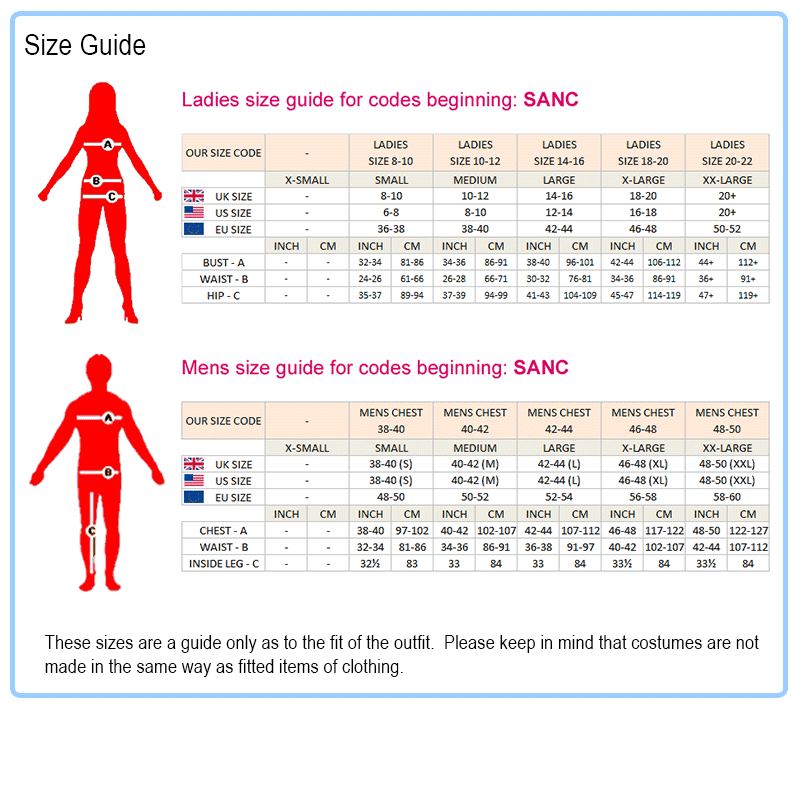 Escape any unwanted hocus pocus and make sure to pick this outfit up before it vanishes into thin air and stocks sell out and ensure an incredible time is had by all, abracadabra! "